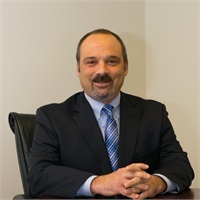 Paul Gennuso is president of Gennuso Financial Group, in Oakbrook Terrace, Illinois. He is also an Investment Advisor Representative with Woodbury Financial Services, a Registered Investment Advisor. Mr. Gennuso holds a Juris Doctorate from the John Marshall Law School, Chicago, Illinois and has been admitted to practice law in the state of Illinois. He received a Bachelor of Science degree in Finance from Northern Illinois University. He has 25 years of experience within the financial services industry. He specializes in comprehensive, customized financial planning for individuals and business owners with an emphasis on wealth accumulation and asset preservation. Mr. Gennuso is currently a member and sits on the Board of Directors of the Greater O'Hare Association and Greater O'Hare Networking Executives IV. He also sat on the Board of Directors for the Elk Grove Chamber of Commerce. Additionally, he is a member of the Phi Sigma Kappa Alumni Association, the Knights of Columbus Albert Meyer Council and the Elk Grove Village Sister Cities program. The Gennuso Financial Group, based in Oakbrook Terrace, Illinois. As Investment Advisor Representatives with Woodbury Financial Services, we specialize in the design, implementation, and maintenance of personal financial plans, as well as employee benefit and retirement plans for closely held businesses.